Lewis HAMILTON: Me too, me too. I just wanted to ask you: surely you missed him being there, because we were starved of a really exciting race at the very front? We got a great race at the back, but up at the front we want to see you two guys at it. LH: Absolutely. I was excited because we were quite close together at the beginning and I was thinking, “OK, we’ve got a race here”. For sure it’s a shame for the team to have lost one of the cars and to not have a race. When I knew Sebastian behind I was thinking to myself “I wish he was right with me so we could be having a race, it would be great for the fans”. Nonetheless, I don’t take what we have for granted. The team have done an amazing job. It’s a special moment for me to surpass Ayrton and carry on to this weekend. I’m very, very proud to be here in Russia, we’ve had a great time, thank you so much everyone. Beautiful, beautiful country. If you’re watching and you’ve never been out here, you should definitely come. He sounds like an ambassador; I think we’ll have to appoint him. Ladies and gentlemen we’ll be coming back to him in one second. Lewis, well done. Sebastian, it seems like only a couple of weeks ago we were talking to each other. Four podiums in a row; you’re on a bit of a roll. Sebastian VETTEL: Yeah. I didn’t count but that’s good news. It was a very good race. The car was fantastic and just kept better. At some point I was hoping there was a slight chance to catch Lewis but he had so much pace in hand, I think he wasn’t really pushing at the end. Yeah, great result. Obviously, it would have been nice to have both cars up on the podium, which I think was possible today. It was maybe close, but very happy with how the race went. Can we go back to Singapore for a second, where you last won. This is more an indication that we’re going to see a big, big fight from Ferrari next year. Is that the way you see it? SV: I hope so! That’s our target. Obviously we want to be a bit better in the race and make sure we give some really, really good challenge to the Mercedes. Currently they are still a bit ahead, but I think we are doing a very good job. We are focusing on ourselves and gaining step by step, getting a bit closer, so I think we are in a good direction and hopefully next year we can be closer. Sebastian Vettel, ladies and gentlemen. And hey, what can we do – out of the ashes of Jordan we’ve got Force India and look who we’ve got up here! Checo, what a remarkable race. I thought it was all gone with a lap to go and there you were picking up the pieces and now you’re up here on the podium. I’m absolutely delighted for you, because it’s a long time since Bahrain  when you were last on the podium. How does it feel? Sergio PEREZ: It just feels great to be back with these boys. I have been enjoying so much my trip with all of them and yeah, as you say, one lap before the end it seemed that everything went away from us. At that point I was just really unhappy with myself, because many things come to your mind. But in the end, until my last lap I was like “OK, I gave it all”. There was no more I could. I had done plenty of laps with my tyres, so I had massive degradation on my front tyres especially, so in the last lap, when it came, it was just amazing. It’s very nice to give this second podium to my team. We want to talk a little bit about Mexico, because we are going to your home country in a number of weeks. Excitement out there? SP: Oh yes, massively. It will be a great place. The fans are great here in Russia, so thanks for all of that. But at the same time, Mexico is going to be my most special weekend of all, no matter what result I get, and I am sure the whole paddock of Formula One will be shocked with the support we get there. Lewis, tell me the problems you had with your tyres trying to keep heat them? LH: There wasn’t too much of a problem. We could hear what you were saying, come on! LH: No, honestly, there wasn’t really a massive problem – the safety car was a little bit slow. I don’t really have too much more to say, just thank you to everyone. I couldn’t have done it without this amazing team, as I always say. As I said on the radio, I’m incredibly proud to be part of this team and coming into those last couple of laps I was just thinking “what a dream this is for me”. Q: Lewis, a very special day for you on a number of levels. Clearly the start was critical again with Nico. Some close racing. Obviously he dropped out today. It’s only my ‘back of the envelope’ maths – and I’m sure someone else will confirm it – but I believe if you score nine points more than Sebastian in Austin and three more than Nico [nine more than Vettel, two more than Rosberg] you’re the world champion again. But first of all, your thoughts on the start, and racing with Nico and then the wider picture of where this leaves you now. LH: The start was good. I had a very good start actually and the key was to try to get behind Nico and slipstream him. I decided to go on the outside, he had the inside taken, so I tried to go down the outside but as I pulled out of the slipstream I wasn’t pulling past him particularly quick enough and we got into the braking zone, there was no point in taking any risks and Nico held his ground. After that, looked like we were having a race. I was thinking ‘this is great, we’re going to put on a good show’ but, I don’t know, it looked like he made a mistake into Turn One and went a bit wide and I overtook him. Then, after that it looked… or maybe already before that, he’d already started to have some problems, so was very unfortunate for the team obviously because the team have worked so hard to have both cars finish this weekend, it was a good opportunity for us to get the Constructors’ Championship but we’ll keep pushing. For me, I just… those last five laps, just really taking it in, just looking at the car, just… – obviously driving the laps – really just absorbing… thinking at some stage… I don’t know how many times I’ll be in that position again, so really cherishing the moment and feeling really blessed. I love driving this car and love where we are at the moment. So, truly grateful. SV: Did you start waving five laps to go? LH: I didn’t! You used to do that! SV: No, Mansell was the one who started waving on the last lap – you topped him doing it five laps from the end. Q: You obviously know the feeling Sebastian, you’ve had it many times at the front. Today was a little bit harder work though, as far as you’re concerned. You seemed to lose a bit of time behind your team-mate early on. Would you have liked your team to get him to let you through? And then a little later on you were pretty close, it’s fair to say – when you watch the replays on your video I think you’ll be surprised just how close it was with Kimi – some thoughts on that please. SV: I think we both enjoyed… obviously I came out in front so enjoyed a little bit more than him but I think it would have been the wrong thing to do, to do on the radio and just take away the fight and the excitement from us. So, obviously, was already close at the first part in the opening laps. I tried it around the outside and it didn’t work into Turn One. Then I tried to pace myself a bit, then we had another Safety Car and then I knew the restart could be a good option and this time I tried it around the inside but it was very, very close. I’m looking forward to seeing the footage but it felt very, very close. Yeah, he was fair, just giving me enough room to survive, so it was a good battle. After that, yeah, it was obviously crucial, chasing down the Williams was the main priority with Valtteri out in front. We could do so, then even stay out a little bit longer than him. He was a bit in traffic, we still had some juice in the tyres left so that was crucial for us – I didn’t know how crucial it was after the stop to overtake Sergio. I thought that, yeah, we’ll quickly do through him but at that time I didn’t see how important it was. So maybe I surprised him a bit going into Turn 13. It’s quite tricky around the outside but I managed to pass him – which turned out to be very important as other people got stuck. So, very happy, did the moves when it mattered and yeah, had a great race. The car was fantastic to drive. Just got better at the end so really happy. Still a bit behind the Mercedes but I think it was closer today than it was yesterday so I’m very happy. Q: Sergio, welcome back, obviously you made that critical pit stop in the second safety car, it was right in that lovely window that I’m sure you were hoping for. You were very decisive in making that move but of course you had to do forty laps on a set of soft tyres. Of course you’ve been here before, you’ve done this before and it’s led to podiums before but is this one of the best days of your career given that we’re going to your home Grand Prix in just a few weeks time? SP: Definitely I’m going through a great moment in my career. From where we are it’s difficult to realise but people who look at my performance, they can see that I’m at my best moment in my career and that’s something that makes me confident. I was confident going into the race, obviously not expecting a podium at all, but the race started quite well. Obviously Nico went out quite early, safety car came out. Then we had a second safety car and we decided to box. We were one of the few cars to box and I thought well… The restart going behind Felipe and Nasr, I was just stuck there and couldn’t get them so I decided to save my tyres together with the team, to look after them at the end of the race and it worked really well and I think we lost a podium one lap before the end but it was just very difficult to hold them back, to hold Valtteri and Raikkonen back. At the stage that my tyres were, I couldn’t brake very hard, very late because I was at risk of flat-spotting my tyres and retiring from the race, so there was a certain level of risk that I was able to take and I thought OK, if it’s not a podium, let’s really come back with the points and then in the last lap they had contact and it was very good to come back and give a second podium to the team, which I think we’re going into a great momentum. It’s great news that I’m staying with the team so we have a lot of momentum going through us and hopefully we can maintain it for the end of the year. Q: (Andrea Cremonesi – La Gazzetta dello Sport) Lewis, there was a problem with Nico’s car which is the third DNF in four races. Are you worried about this lack of reliability. And you seem to have had a problem with DRS towards the end of the race. Can you explain to us your feeling in the car? LH: I don’t really know what was wrong with the car. I don’t think it was DRS but there was something happening to the rear end which was the reason that the pace started to decrease. Reliability, of course, is something that we’ve focused on a huge amount over the last year and a half and for whatever reason, the team… we are struggling or having a little bit more problems with it and Nico’s been incredibly unfortunate to suffer the worst. I honestly don’t know what happened to his car so I can’t really comment on it but I know that we’ll be working as hard as we can to rectify it and hope that in these next races we don’t have a problem, but of course it is a concern for us. SV: I know you’re wait… you just told me that you’re waiting for the girls to come over to you in the Radisson Hotel, room number 708 but I think they’ve been standing all day so I think they can sit down. Feel free to sit down. LH: What are you talking about? SV: Sit down. How do you say sit down in Russian? 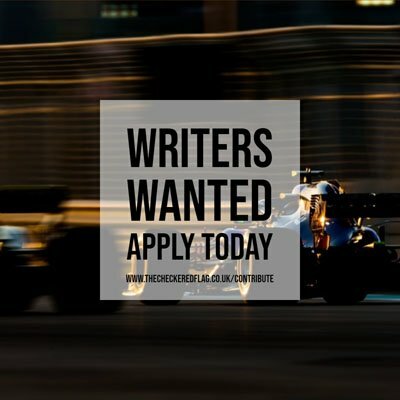 Q: (Livio Oricchio – GloboEsporte.com) Lewis, are you coming to the next races with the spirit that we see you have today or the spirit we saw you with on Thursday when you arrived here? LH: I can’t hear a single word you’re saying right now. There’s this super super distraction in here. What did you say? Q: (Livio Oricchio – GloboEsporte.com) I’m sorry to disturb you with my question but I’m saying are you coming to the next event with the spirit that we are seeing you with now or the tension that we saw in you in the last few days here? And Sebastian, we saw Kimi saying that he would work for you concerning the championship. It’s not what we saw today. SV: I wasn’t rubbing anything in the last couple of laps. LH: OK, well, I don’t know where his head is going but yes, as I said I’m just grateful and I plan to hopefully come with the same energy to the next race. SV: Well, I don’t think on lap ten you think about those things. I think we’re free to race. I think the spirit you have as a racing driver so I know that… There was nobody out front. Lewis, for example has an issue and Nico – it’s a different story but Lewis at that point was controlling the race already, showing that he’s very quick so I don’t think it makes much sense at that point to swap much and talk about these things. As I said, it was lap ten so it was very early – or somewhere around lap ten, 15 in the race or very early. Q: (Angelique Belokopytov – AutoDigest) Checo, just a remark for Sebastian: sit down in Russian is sadites, so you can train for the next time. So Checo, generally people are saying about Finns that they are cold; today we see that fight warm so what do you think that if there was a Mexican on the grid today, how would be your fight with him, warmer? I am expecting a good answer from you despite the beautiful view you had in front. SP: I think first of all we’re very lucky to be here with such beautiful girls. LH: Best press conference ever. SP: The least boring one, at least. Just thank you and enjoy it. Matteo, just enjoy it. Thanks, it has been a great weekend and obviously the fans here are great. I think what you hear that Russians are very cold, we haven’t experienced that. SP: I’m not focussed, sorry. SP: I’m sure you didn’t understand the question as well. Q: If you had another Mexican, would it be even more spicy than the battle between Raikkonen and Bottas was? SP: It’s the last lap, you’re fighting for a podium, doesn’t matter if it’s Mexican or Finnish, whatever, you’re fighting for the podium and you’re giving it all, you know? So yeah, it didn’t work out really well for them but for me it worked well.